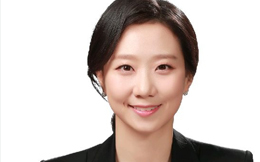 Lisa Hong is a Beauty & Fashion Research Analyst at Euromonitor International Korea. She specialises in Asia, especially South Korea market, by conducting direct research, developing market insight and actively engaging with industry players in Asia Pacific. Her prior professional experience in managing research at asset management firm gives her wide view in analysing the market. She holds a bachelor’s degree in Business Administration and passed AICPA exam in 2009.